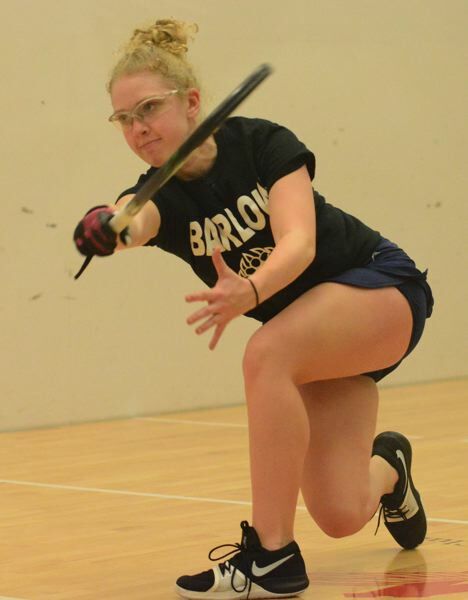 Barlow's racquetball team crowned champions in both the singles and doubles brackets on its way to a fifth-place team finish at the girls national tournament last weekend in St. Louis, Missouri. "We only brought five girls to the tournament and they all return next year, but win you win both brackets you are looking good for points," Barlow coach Brian Ancheta said. 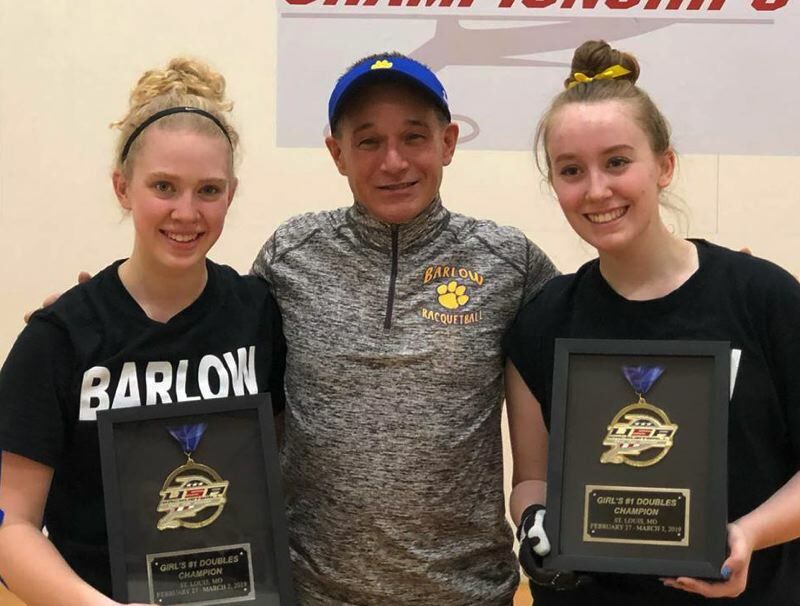 The Barlow duo of Annie Roberts and Kelsey Klinger won all four of its matches in straight sets with its biggest challenge coming in a 15-11, 15-12 win over No. 3 seed Alice Reider and Sarah Lovett out of Kirkwood High in Missouri. "When you have the best player on the country on the court, you aren't going to challenge her, so Kelsey got a double-dose of serves and she got tough and made some great shots that allowed Annie to settle in and finish points," Ancheta said. Roberts and Klinger defeated No. 4 seed Ayisha Tamerhoulet and Katt Macgregor out of Sprague High 15-9, 15-8 in the all-Oregon championship bout. Roberts swept past No. 2 seed Nikita Chauhan out of Dougherty Valley High in California 15-6, 15-9 — her closest match of the singles draw and a rematch of last year's final. "We expected to see Nikita in the finals. Annie is just a little more polished with her game — she has a work ethic that is like no other," Ancheta said. Roberts surrendered 15 total points in her three earlier bouts, including a shutout of her second-round opponent. Roberts is off to Denver for the USA Nationals in May — a chance to take on the nation's top adults. "She needs to play some top matches against pro-level players," Ancheta said. In June, she will be staying home to compete at the Junior Nationals, which is being hosted by Multnomah Athletic Club for the first time in 10 years. This story is slated for our Friday, March 8, print edition.